Lord & Taylor has 7 For All Mankind jeans and shorts at up to 87% off after code "SAVINGS" (exp. 7/30) which takes 20% off clearance. Filter price low to high to view the best deals. Shipping starts at $5.95 or free 2-day shipping with Shoprunner. Tax in most states. 7 For All Mankind Up to 87% Off includes the Skinny Denim Legging, only $24 after code (reg. $189). 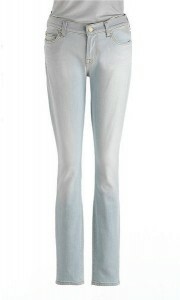 Slim Illusion Skinny Jeans only $24 after code (reg. $168). Sold out. Pleated Denim Shorts only $16 after code (reg. $159).